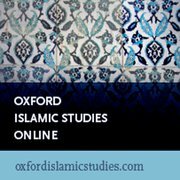 Oxford Islamic Studies Online is an authoritative, dynamic resource which brings together the best current scholarship in the field for students, scholars, government officials, community groups, and librarians to foster a more accurate and informed understanding of the Islamic world. In the United States, Republican presidential candidates and some thirty governors have called for a freeze on accepting refugees fleeing the civil war in Syria. Donald Trump, the leading Republican candidate for president of the United States, has pushed the envelope to its extreme, advocating a temporary freeze on all foreign Muslim immigration, as well as the monitoring or even the forced closure of American mosques. The result? Trump soared in the polls, as did fellow presidential candidate Ben Carson, who stated that “for a Muslim to become president of the United States…you have to reject the tenets of Islam.” In Europe, far-right political candidates continue to make political headway. The far-right Front National party of Marine Le Pen won nearly 30% of the vote in the recent French regional elections; although the party did not win any of the regions outright, the strong showing positions Le Pen as a future presidential candidate. Fear of Islam and Muslims in general—not just Muslim extremist and terrorist movements specifically—have become normalized in popular culture in both America and Europe. The anti-Islamic and anti-Muslim hate speech, bias, discrimination, and hate crimes—commonly referred to as Islamophobia—are on the rise. Islam Muslims and the vast majority of Muslims have been brush-stroked by and often equated with the kind of militant extremism and terrorism practiced by a mere fraction of Muslims, obscuring the fact that the vast majority of terrorist victims are themselves Muslim. This, in turn, has had a significant impact on the growth of Islamophobia as well as the domestic policies that have threatened Muslim civil liberties. But what are its causes? Major polls have consistently reported that Islam is a significant component of religious and cultural identity in Muslim countries and communities globally, and thus an attractive tool for violent extremists as an instrument for legitimation and mobilization. However, the primary catalysts for extremism and terrorism are political grievances often intertwined with the use or misuse of religion. Osama Bin Laden and others like him appealed to long-standing political grievances among many in the Muslim world, the mainstream non-violent majority and extremists alike: Western influence, invasion, occupation; Western support for authoritarian regimes that claim to speak for all Muslims; uncritical bias and support for Israel from the American government in the Palestinian-Israeli conflict. Add to this the Iraqi and Syrian (Shiah-dominated) governments’ repression and killing of tens of thousands of civilians and other crimes. ISIS has shown a particular talent for coopting and exploiting all of these issues. Their execution videos, released when ISIS called itself the Islamic State of Iraq (October 2006–April 2013, Al-Furqan Media Foundation), underscored the importance of political grievances for legitimation of their actions and as a tool for recruitment. Most Americans—who live in a country with a relatively small Muslim population—say they know little or nothing about Islam. Thus, it is not surprising that when terrorists commit their acts of violence in the name of Islam in Paris and San Bernardino, they are drawn to demagogues in America like Donald Trump and in Europe who bring Muslims and the Islamic faith to the forefront of the political debate. Media Tenor, in its 2011 report “A New Era for Arab-Western Relations,” found that out of nearly 975,000 news stories from US and European media outlets, networks significantly reduced coverage on events in MENA to actions of Muslim militants. A comparison of media coverage in 2001 versus 2011 demonstrates the shocking disparity of coverage. In 2001, 2% of all news stories in Western media presented images of Muslim militants, while just over 0.5% presented stories of ordinary Muslims. In 2011, 25% of the stories presented militant image, while the images of ordinary Muslims remained stuck at 0.5%. The net result is an astonishing imbalance of coverage: an exponential increase in coverage of militants but no increase at all over the 10 year period in the coverage of ordinary Muslims—and that despite census figures confirming a rapidly growing Muslim population. The situation got worse, for example—between 2007 and 2013, 80% of all American news coverage about Muslims/Islam was negative. An August 2011 Center Report, Fear, Inc., documented, based on IRS information, that $42.6 million flowed from seven foundations over ten years to support Islamophobic authors and websites. A CAIR Report in 2013, “Legislating Fear: Islamophobia and its Impact in the United States,” reported that the inner core of the US-based Islamophobia network enjoyed access to at least $119,662,719 in total revenue between 2008 and 2011. Totally lost or obscured in the fear and fog of war are the facts on the ground regarding American Muslims. Data from major polls (Gallup, Pew and others) and studies have reported that the vast majority of Muslims in America, for example, are educationally, economically, socially, and religiously an integral part of our American mosaic: members of Congress, the military, corporate, education and religious leaders, physicians, lawyers, engineers, scientists and small business owners. American Muslims were among the victims and first-responders on 9/11. In contrast, Muslim terrorists are a fraction of a fraction of 1%. No wonder that the US Attorney General, Senior Pentagon and Department of Homeland Security, as well as leaders in the Democratic and Republican parties, have rejected Donald Trump’s outrageous and inflammatory rhetoric and its threat to American principles and values and to the civil liberties of American Muslims. [I]t is the responsibility of all Americans—of every faith—to reject discrimination. It is our job to reject religious tests on who we admit into this country. It is our responsibility to reject proposals that Muslim Americans should somehow be treated differently. Because when we travel down that road, we lose…We were founded upon a belief in human dignity—that no matter who you are, or where you come from, or what you look like, or what religion you practice, you are equal in the eyes of God and equal in the eyes of the law. Image Credit: “IMG_4686” by Trocaire. CC BY 2.0 via Flickr. Excellent article, simply excellent, however it was hard to find – exposure of these articles, scholarly studies is not always easy to find online.